At one point, it looked like 2013 was going to be a bloody banner year for horror. Remember that time? We’d already seen the magnificence of the Evil Dead remake as well as the spooktacular glory of the original The Conjuring, and we still had You’re Next, The Purge, Insidious: Chapter 2 and Carrie to go? Too bad those last few couldn’t live up to expectations. The year did produce a handful of really excellent horror flicks, though. Here is our Top 5. Director Neil Jordan returned to the modern day/period drama vampire yarn this year. Thanks to two strong leads, he pulls it off. Saoirse Ronan is the perfectly prim and ethereal counterbalance to Gemma Arterton’s street-savvy survivor, and we follow their journey as they avoid The Brotherhood who would destroy them for making ends meet and making meat of throats. Jordan’s new vampire drama attempts a bit of feminism but works better as a tortured love story. The effortlessly creepy Brady Corbet plays the title role in Simon Killer, a college kid alone in Paris after a messy break up. He’s loathsome and cowardly and impossible to ignore as he hatches a plan with his new prostitute girlfriend – a wonderfully tender Constance Rousseau – to make some quick cash. The film draws you in like a thriller before morphing into a sinister character study that will leave you shaken. Not enough people saw this gem, and even fewer saw the brilliant Mexican original, but both are essential horror viewing. The reboot takes a very urban, very Mexican tale and spins it as American gothic, with wildly successful results. From the same writing/directing team that brought forth Stake Land (if you haven’t seen it, you really should), this is one of the few Americanized versions of foreign horror to satisfy – although you may not be hungry again for a while. Naming #1 was a tough call because of this one, among the all time best reboots in horror history. Fede Alvarez (with some help from the Oscar winning pen of Diablo Cody) respects the source material while still carving out his own vision. Goretastic, scary, and unexpectedly surprising given how closely it aligns itself to its predecessors, the movie has it all – including more gallons of blood than any film in history. Seriously. 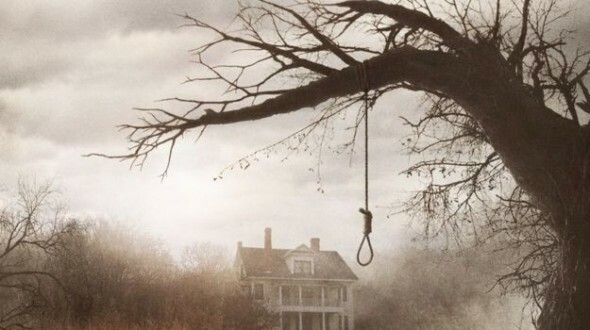 James Wan mixes the percussive scares of modern horror with the escalating dread of old fashioned genre pieces, conjuring a giddy-fun spookhouse ride guaranteed to make you jump. And he did it all without FX. A game cast helped, but credit Wan for the meandering camera, capturing just what we needed to see at the exact second that it would do the most damage.